Excel 2013 can do a very good job of automatically detecting the type of information that you have entered into a cell. Unfortunately it does not always guess correctly, and you may find that your data does not look correct in your spreadsheet. This is particularly common if you are formatting UPC codes, which can be very frustrating for Excel users that might not understand why their input is changing after they press Enter on their keyboards. 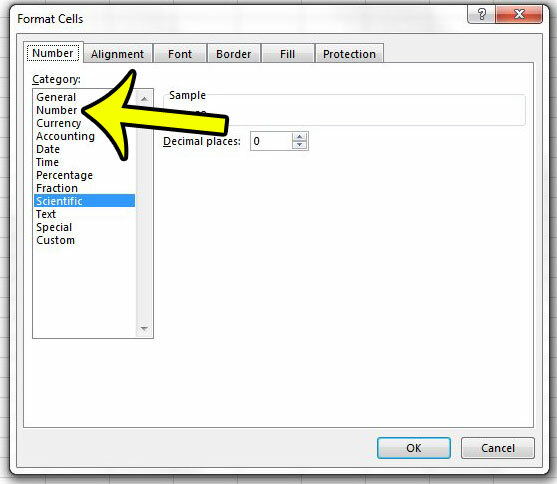 Fortunately you can manually change a cell’s formatting to whatever you would like, and one of the options is to format a cell for a number. Our guide below will show you two different methods for switching a cell to the Number format. The steps in this article will show you how to select a cell, or cells, and change the formatting to the “Number” option. Ideally you would use this if the cells are going to be containing numerical values, but it may also have other uses if your data is not displaying properly. 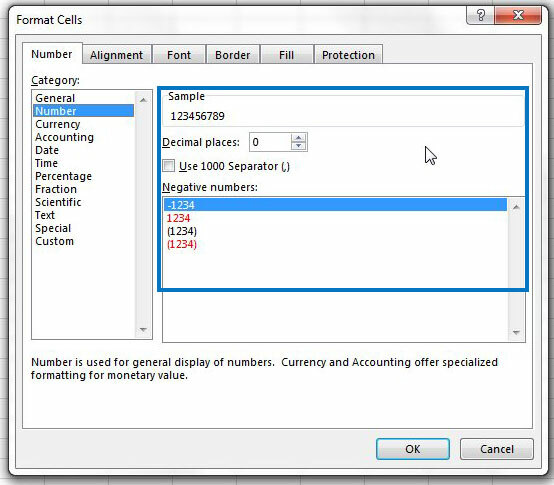 Step 1: Open the workbook containing the cells to which you would like to apply numerical formatting. Step 2: Click the cell that you wish to modify. 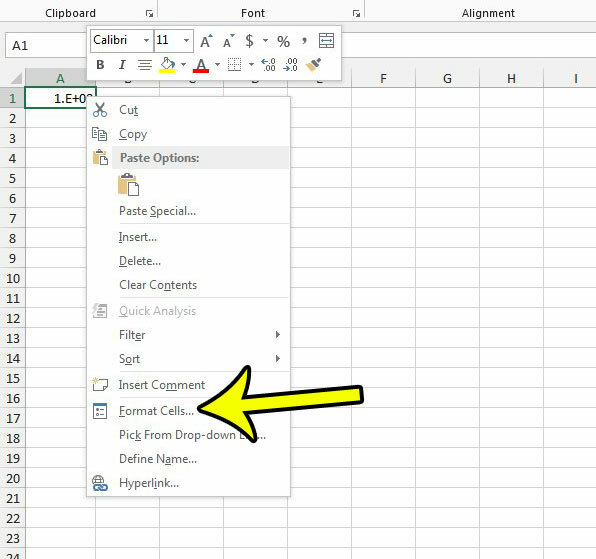 If you want to format multiple cells, then click on one of them, hold down the mouse button, then drag the mouse until all of the desired cells are selected. You can alternately click a row number or a column letter to select an entire row or column. Step 3: Right-click a selected cell, then click the Format Cells option. Step 4: Click the Number option from the column at the left side of the window. 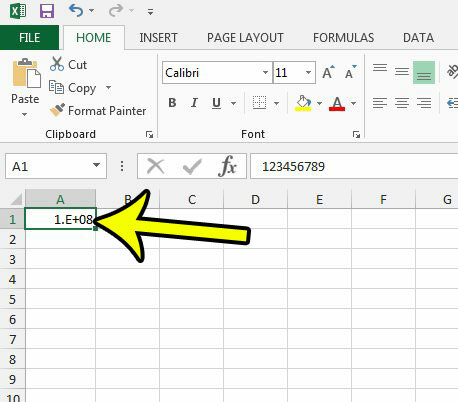 Step 5: Adjust any of the options available to cells that are formatted as numbers, such as the number of decimal places to display, then click the OK button at the bottom of the window to apply your changes. Alternatively you can change the format of a cell by clicking the Home tab at the top of the window, then clicking the drop-down menu in the Number section of the ribbon and choosing the Number option. Excel formatting can often be a bit of headache. 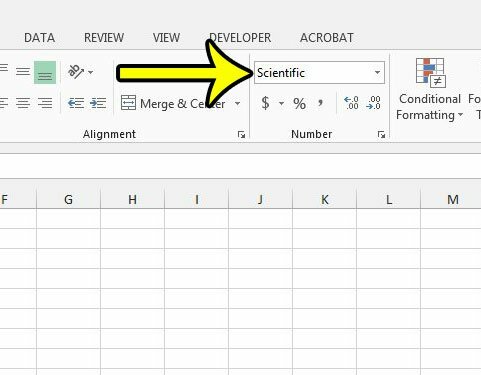 For example, if you have numbers that are displaying with a percentage symbol behind them, then this article – https://www.live2tech.com/remove-percentage-excel-2013/ – will show you how to remove it.